Did you know you can now order your Just Eat takeaway from Negril here on View? 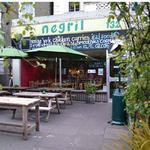 Negril is a Jamaican BYO restaurant that serves traditional jerk chicken and Caribbean curries. The restaurant uses free range poultry and organic produce wherever possible and they also serve their own fresh fruit juices. Do you work at Negril? What did you think of Negril? Negril is a fabulous place. The staff are lovely and the food is fantastic. 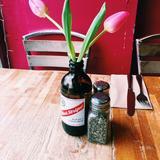 I love the jerk chicken and the freshly squeezed juices make you feel so healthy! 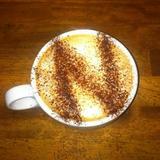 Negril is well worth a visit - especially as they have now extended their hours in the evening. If you like Jamaican cuisine, you will absolutely adore Negril. Popped into Negril on Sunday for a quick bite to eat and was so impressed with what I found. A lovely little courtyard with the BBQs going strong, very friendly staff, quick service and the home made food was incredible. All very reasonably priced too. I'll definitely be back. I've been to negril once for dinner and once for breakfast and loved it! I know there are quite a few negative comments but I live in Brixton and everyone I speak to loves it. It's definitely worth a visit if you've never been. A group of us went and had a really good meal in there it was great taking your own booze! Dry chicken and gravy does not mean 'jerk chicken'. Salt fish fritters without salt fish just meant tough dumplings. 1st time there and no intention of returning. Awful. Always had a good meal here and been five or six times. The service is relaxed rather than inattentive but I've always found that unless we eat very slowly we're normally done within an hour. Inside it is cosy - the place is better suited for small numbers rather than big groups. The jerk chicken is good rather than great, but the ribs, plantain and cod fritters are brilliant. The chips are.. chips. They're hot, taste like chunky chips should. I've not noticed some massive change in the past 18 months. I know exactly what you mean. Service is poor and rude and food is bland. Success has gone to their heads, the people on the table next to us also got an earful! Brixton is FULL of new interesting restaurants... thankfully. I have also noticed Negil is no ware as busy as it used to be. I used to like this place but it has really gone down hill. Someone told me the owner sold it and wow what a difference. The food used to be the best thing about this place but quite frankly the curry was bland, the chicken dry and the chips cold and soggy. The service was never great but we actually got told to naff off and eat at the white horse if we didn't like it. Will NEVER go back. The food at negrils is amazing - the service is always good. We always have the negril platter, I love the gravy. I was at negrils Sundays with my friend when that party was there - they even gave us cake. They were all saying they were gonna come back! That party had a great time maybe you were just having a bad day judging from the rant. The place is always packed. I will be booking my birthday dinner there. OMG...I think, (well I know) you are being dramatic with your review, very contradicting & most of all mean. I've been to Negril & try to book tables for a party of 17 - 20 ppl but was politely refused. The proprietor was very apologetic & offer an explanation as to why (wish a lot of proprietor wouldn't do)...moral of the story is, be thankful you were able to book a table for your party of 20 because I wouldn't do that to my very busy small business. (A place like Negri)I've being going to Negril for approximately 5 years myself & my only complain is the constant staff changes but then again having been in the service industry, I realise in order to maintain standards you got to get rid of bad apples.My Negril experience so far has been: EXCELLENT!!! !You should be more HONEST with yourself in order to be HONEST with the public at large....! I went there a week ago for my mums birthday and really enjoyed it. I am quite a frequent visitor to Negril and it rarely disappoints! I am surprised to see the ratings for this restaurant so low as the food has always been a goodie. The sea bass is my favourite at the moment which literally melts in your mouth, it has a gorgeous pickle on the side and if you are feeling adventurous there is hot sauce also. My other favourite which is a must is their rum and raisin bread and butter pudding I LOVE THIS and could literally go in there for this and a cup of tea! The food I think is fairly priced and its even better value when you share a platter between two people they also are really accommodating so if one person wants fish and the other chicken they will do that for you. The staff are really friendly although I would say the service is better during the day rather than evening due to how busy it gets…which in my opinion is a testament to how popular this place is. So if you are ever passing Negril on Brixton hill stop by as you wont be disappointed just remember to book in the evenings. Went to Negril last night (Wednesday night) very busy, very buzzy with atmosphere so clearly very popular....considering they were very busy the service was quite good...more importantly, very friendly, always smiling. Excellent food, advised us accordingly, as we were nearly being awkward....just remember it is BYO....great place, highly recommend it...and looking forward to going back! Being a local Brixtoner I have visited Negril many times and have always received excellent service, great food and a lovely atmosphere. Last night I decided to hold casual celebrations for my 24th birthday at Negril and I am delighted to say the experience was excellent. The staff were great, booking a table for a large number was no problem and they were extremely accommodating, really friendly, polite and helpful. The food was great, nothing 'out of this world' but just delicious, well cooked, hearty Caribbean food. Plus as a bonus the staff brought out a slice of cake for my birthday without any prompt - a lovely touch. All in all, great restaurant perfect for a casual meal or larger celebration. Would recommend. I've changed my mind. I wrore a slightly scathing review of this restaurant a couple of weeks ago but went back on Wednesday to give Negril another go and it is really lovely. The food and atmosphere are delightful. If you can set aside the slightly surreal service - only being given one set of cutlery when there were 2 of us and asking if we'd like a pudding when we were still eating our first course ( then, when having said "maybe later" we were told we could take it home with us if we didn't want it then) the restuarant is a real find. 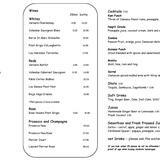 The food is delicious and generous, and very reasonably priced, the staff are friendly and the BYO is great value - Go. You won't be disappointed. I and 2 friends ate here on 23/07/2011. Most of the staff are charming, friendly and helpful. The restaurant was almost full when we arrived and the staff made an effort to fit us in although we had no booking. However, the service is somewhat disorganised and inefficient e.g a young waitress was wondering around lighting candles and chatting to her colleagues when several tables were trying to catch her eye to give orders or get their bill. We waited 20 mins to give our order. The food came 25 mins after that. There were 3 of us and ordered the platter for 2 with extra plantain and festival (a kind of bread). It was all delicious, not special but delicious and the portions were fine. Towards the end of the meal a burly waiter came over and started to clear our dishes although we were still eating and there was food left in the serving dishes. One guest remonstrated that there was still gravy in the jug about to be cleared and that he was actually still eating and the waiter pumped up his chest, puffed out his elbows (I thought he was going to hit my friend) and then said very sarcastically " I'll get you another one then shall I?" and stormed off. The surrounding tables were horrified. The manager, who I think had witnessed the altercation, had the grace to come up and apologise courteously. We appreciated that. When I asked for the bill, the waitress took away my glass of wine....it was still full!! Went on 26th May 2011 Had a wonderful time food out of this world too much you just cant eat it all was great valve for what they serve you. Staff so lovely made you feel so welcome, will be going back again. Great food, really relaxed atmosphere and friendly staff. Best to go on a summer's evening so you can sit outside - but by 7:30 all outside seats are taken so get there early. Favourite London restaurant to eat in...individual, good portions and fairly priced - definitely worth a visit! Negril is my favourite restaurant in London. My wife and I have been coming here for years now and the food is as superb as ever and the atmosphere great. If you like jerk chicken and Caribbean food generally then this is perfect comfort, feel-good eating. It's BYO, still a relative rarity in London, which means it's fantastic value, especially if you go for the platters. The jerk chicken is outstanding but my number one tip is to go for the salt fish fritters. Unbeatable. We had a fabulous evening here. The food was delicious and the staff were welcoming, friendly and attentive. This was our first time so chose the curry and jerk platters which was a great choice allowing all four of us to try different things. We finished with rum & raisin bread and butter pudding and chocolate cake, both delicious! We were completely full and only cost £15 per head! Will definitely be back. I can't believe this has averaged only three stars because one weirdo has reviewed it TWICE giving one star each time! this is an amazing restaurant- beautifully spicy jerk chicken, the best gravy ever, stunning platters, delicious juices, rice and pea, goat curry (it's HOT! ), lovely little salads... it's a teensy bit pricey for what it is, but the bring your own booze makes up for that. i have never found it to have bad service- in fact the opposite! whether in small parties or booking out the whole restaurant, the staff have always been attentive and charming. i would highly recommend negril to anyone looking for a really delicious meal in a convivial, warm friendly atmosphere. I think this is a lovely restaurant with a gorgeous warm, welcoming feeling. Lovely staff, delicious food and very reasonable prices for the food you get. We ordered the Negril Platter and it was great (i will say if you're a meat lover there is only one fairly small piece of chicken each) but tonnes of other side dishes ensure you are full to the brim. We squeezed in some Banana, Vanilla and Coconut ice cream for dessert which was also delicious and beautifully garnished. Special attention should go to the American waitress who works there for being so lovely and making you feel comfortable and relaxed. This place is an all round Brixton Gem. Go check it out! I went to Negril last night and have no idea why anyone would ever write a bad review on Negril. The atmosphere is friendly - immediately we were greeted by a smiley waitress who showed us to our seats and told us about the byob policy (which we already knew anyway because we had a look on the net). The food came out relatively quickly considering it was quite busy and when it arrived it was delicious. We shared the Negril platter which consists of jerk chicken, plantain, fried salt fish, some salads, rice and peas slaw, chips (loads basically!) and can honestly say it was all really tasty. For the platter it was £22 so £11 each and corkage is a reasonable £2.50 p/person. They had a range of cakes, sorbets and ice creams for dessert, I had carrot cake (more like carrot pie as it was warm and thick) with home made vanilla ice cream and it was also yum. I ordered the Negril Platter, which is a little bit of everything and serves two people, for home delivery earlier this evening. The food was absolutely delicious, beautifully presented and arrived well within the 45 mins I'd been advised it may take to arrive. The staff member I spoke to on the phone and the delivery guy were extremely courteous and friendly. I shall definitely be ordering from them again! I was invited by a work colleague to dine at this restaurant as she recommended it highly. I was very pleased that I went along as the food was very delicious. I had the Negril platter that I shared. Portions were just right. The waitresses were also lovely and served us very well. I am baffled by the poor reviews I have just read before posting my review. They cannot be talking about the same place! I totally recommend this restaurant and I will definately be going back! Went to Negril last night for the 1st time Guy who took order was nice and friendly , when the food came i was very disapointed to say the least. Veg Bean dish was so watery it was more like soup dont know if chef was having a bad day service was so bad had to wait for cutlery no one came to clear table once we had finished eating, I really wanted to like this place. On the up side prices not that bad and the place has a nice vibe about it . I hope the management read this and fix up because it could be amazing. I have been going to Negril regularly for the past couple of years, as I live very locally. It is a fantastic place - delicious food and generous portions, and extremely good value for money (especially as it is bring your own.) I have taken lots of friends there, all of whom really rated it. It's a small restaurant and the recent refurbishment is a big improvement and has given them some much-needed extra space. It is extremely popular and the last couple of times I've been they have been turning people away, so I'd advise booking ahead. I'm shocked by the reviews that have said the service is poor - in my experience it has always been excellent. It can be a little slow when they're busy but in my experience they're upfront about any delays and the pace contributes to the relaxed, welcoming atmosphere. 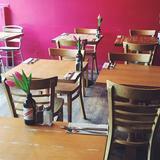 Negril is one of Brixton's finest restaurants with food that is nothing less than delicious with massive portions. We have never had a bad meal here and now they have started a takeaway service we have it at least once a week. The gravy is heavenly and the chicken portion sizes are massive! I have never had it but a friend of mine has had the curry platter and says it is too die for and well worth the money. Everybody should try it. We cannot review the food nor can we give Negrils less than one star - unfortunately. We were seated at a table, made comfortable, had 10 minutes to peruse the menu then asked to leave as our table Was reserved and they'd forgotten. Until the reserved guests arrived and we got booted out. No offer of a complimentary drink or whatever if we came back another night, nothing just go. Unbelievable and the food looked good but unprofessional or what. Went there recently and ordered the jerk chicken with rice and peas and plantain wedges. The waitresses were friendly, attentive and the meal came quickly. The serving was both generous and tasty. I was suspicious of the poor reviews on this site as they are way out of proportion to the good reviews. I thought I would give Negril a try and not go back if I didn't like it. I was glad I choose to ignore the suspicious bad reviews as I had a good meal there. The food at Negril is simply delicious! It is a friendly atmosphere and the waiting staff are friendly. I would agree that the only thing that needs to change is the corkage price, it is too high. Call me a suspicious person, but I think that the bad reviews on here were probably made by the competition themselves. Look at the evidence - startling low scoring and complaints which, if you have been to Negril yourself, are hard to comprehend and also the plugging of other places! The truth is in the tasting people. I've been to Negril with some friends and I was really really satisfied with the food and the atmosphere in the restaurant. Especially the server with the perm hair was really friendly, courteous and helpful.He made my stay at Negril perfect. I really enjoyed to be there, loved the food and would recommend to everyone to go there. Yes it's small, yes it's crowded but the atmosphere, service and food is great. I can't understand people who complain about the staff I've always found them helpful and friendly - maybe they are not obsequious enough for some people who posted reviews here. Ww go regularly and love the place.If I have a complaint it's the corkage charge. If you take a bottle of beer to drink (the restaurant isn't licensed) it costs more than it should.